If you plan to drive north to Malaysia, you need to get a Touch ‘n Go card to pay the Malasia road charge (RC) in the immigration counter and pay expressway tolls. For Malaysians, it is simple and easy to get a Touch ‘n Go card. Just imagine how easy we can get an EZ-link card in Singapore. But it is very inconvenient for Singapore drivers to get a Touch ‘n Go card in Singapore. This driving to Malaysia guide explains different ways for Singapore drivers to get a Touch ‘n Go card, including getting the card in Singapore and upon arriving at Malaysia. Why is Touch ‘n Go card not sold in Singapore? 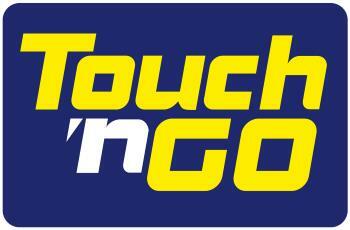 Plain and simple, Touch ‘n Go card is not allowed to sell in Singapore due to related financial regulations. A special agreement or a permit is needed if Touch ‘n Go Sdn Bhd intends to sell the card in Singapore. Due to the market size, I guess Touch ‘n Go Sdn Bhd does not bother. This creates a problem for Singapore drivers: they need to get a Touch ‘n Go card to enter Malaysia, but they cannot get it outside of Malaysia. As mentioned in Malaysia VEP guide, you can use Touch ‘n Go eWallet to pay the RM20 road charge if you get the VEP tag. You can reload the Touch ‘n Go eWallet through the app. The remaining issue is that you still need a Touch ‘n Go card for the trip to collect the VEP tag, which can only be collected in Malaysia. Of course, there are some (not just one) solutions to this issue. How to get a Touch ‘n Go card in Singapore?